A month dedicated to women, as we come together, many of our interests focus on education, inspiration, empowerment and shaping the future. For centuries women continually come together 365 days a year in ways that are fitting for the era. The voices that spoke loudly and quietly all embraced visions, and the passion to change society for the better. Women who came before us are not forgotten. We embrace their words, actions and let their spirits be known. We continue their marks in history, past, present and to support the future. 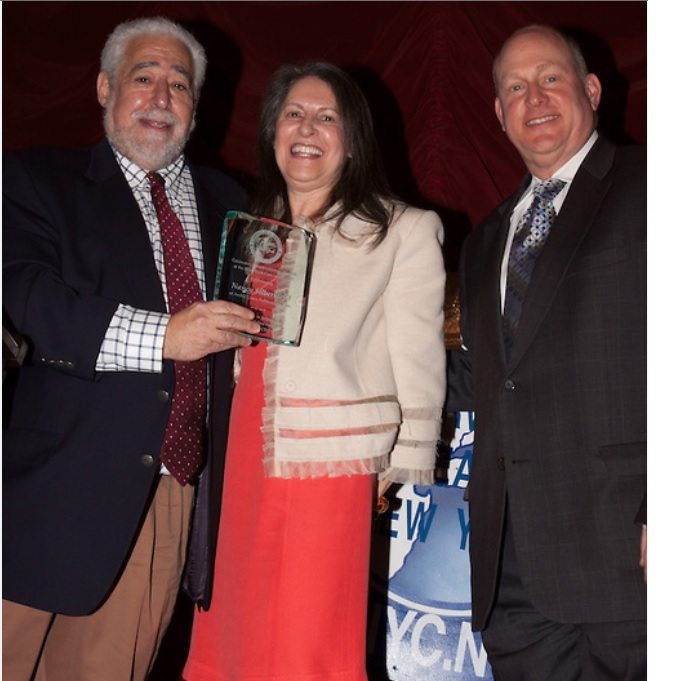 The Greater New York Chamber of Commerce Commerce is commended for their loyal recognition of women. I personally pass the grain of sand on to the girl child with the encouragement to start now to build their paths and when the time is right, and not before, her voice will awaken and she will have created her personal castle. BALCONY (Business and Labor Coalition of New York) recently celebrated ‘Women’s History’ with me and other influential women in NYC. I was honored to receive my first award. It is symbolic that the plaque is made out of glass as I ‘break the glass ceiling’ and explain what my personal platform is about. When faced with obstacles, I look at my award and can see beyond the glass. I say to all women and girls to go for it and find a way around your obstacles because that original grain of sand will just be in need of other grains and pebbles until you finally build yourself your own personal castle.